As you already know, the focus of this site is to help you find the best credit repair services. That doesn’t mean we’re not here to help you with other credit related needs. We’re sure you will find a good credit repair company, but it’s important to be diligent in protecting your decent credit score! This article below is geared more towards people who are looking to keep their good credit rating. As you know, you can’t sleep when it comes to protecting your credit score as there are always predators out there looking to take advantage of someone who has their guard down. Of course a credit repair company can help you to remove items that aren’t you fault. That doesn’t mean it’s always an easy process though. The best course of action is to make sure you don’t find yourself in that situation. We’re always on the lookout for new scams that can negatively affect your credit score. Over just the past few months we’re hearing more and more about innocent people who had their credit card information stolen in a completely new and concerning way. Not only was their personal and banking information compromised, but they also saw their credit scores drop hundreds of points because of this fraud. With recent advancements in technology it’s gotten to a point where you don’t have to be online or even using a credit card to be susceptible to Identity Theft. Electronic Pickpocketing is a new way for criminals to steal your credit card info or passport information without ever touching your wallet. Using Radio Frequency Identification (RFID) technology thieves can download all your pertinent information in just seconds by standing near you with an electronic credit card reader! With an off-the-shelf card reader any criminal can easily swipe credit card numbers, expiration dates, and people’s names. This all started when credit card companies recently added RFID technology to credit and debit cards to make paying for things faster and easier. You just waive your card and you’ve paid. 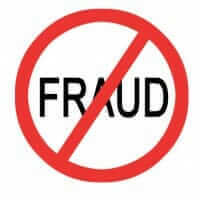 However, this advancement has led to an explosion of cyber crime and identity theft in just the past few months. Unlike normal fraud guarantees, creditors are not liable for identity theft caused by RFID Electronic Pickpocketing! It’s estimated that 30-40% of all credit and debit cards contain an RFID chip. As credit card companies move to get rid of RFID chips we hope to see these issues decrease. However, the problems from this technology and fraud will last for years. There’s no doubt that many people will be looking for credit repair services years into the future to fix their credit and rid themselves of these issues. Have you checked your updated Transunion, Equifax and Experian Credit Report for the new year yet? If not we strongly recommend you check all three scores and credit reports immediately. You can access your free yearly credit report at the Government’s Annual Credit Report Site. This service is completely free and we recommend that you take advantage of your free credit report at least once a year. Since fraudulent activity or identity theft may affect your credit score, it’s important to monitor your credit reports at least once a month. Identity theft can affect you on a personal and professional level, causing you to be turned down for credit, denied a home rental, even potentially cost you a new job! If this type of fraud has already occurred, we recommend that you start the credit repair process. Find an online credit repair company that will work with you to report and delete these errors.